Outplacement is a solution where we handle your tasks from our own office, unlike inplacement where we are located locally in your office. There are pros and cons of both, and the right solution depends solely on your needs and organization’s structure. 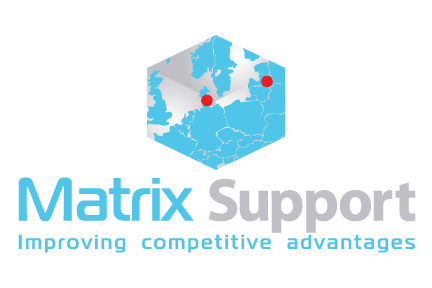 Matrix Support offers both, which means that can get the perfect solution. With outplacement we will not take up space in your business, and it can be a great choice for certain tasks. This could be for administration and financial functions, or if we take charge of your telephone exchanges. Flexible and tailor made solutions. Focus on your strengths and core competencies. We can replace your freelance bookkeeper. Fixed reporting and compliance with deadlines. Proximity via well-developed IT systems. Not occupy an office space at your place. No companies are the same. Therefore, it requires flexibility to achieve great results, regardless of whether we are located in or outside your company. In Matrix Support, we meet these requirements of flexibility. Matrix Support offers a wide range of services in administration, accounting, sparring and telephone services. We have outsourced these tasks for many years and therefore know exactly which challenges and tasks are widely used in different types of companies. Our experience and knowledge help us to provide you with a good quality solution for all your tasks. We always focus on offering tailor made solutions and a fixed price. The fixed price is an important part for many companies. This way, you will not exceed your budget, but instead know the exact cost level. Contact us today if you want to know more about your possibilities for outplacement. Would you prefer that we attend your financial tasks from a seat in your office? Read more about inplacement here.